Some of you may think shift-deleted or virus-deleted data will be lost forever, but in fact most lost files can be recovered, including deleted data and data saved in lost or damaged partition. And data recovery software is capable of doing this. 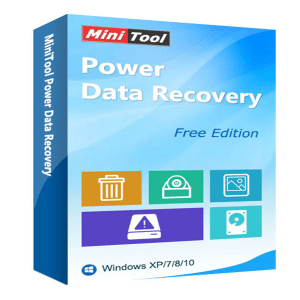 In this post we are going to introduce the free file recovery program MiniTool Power Data Recovery Free Edition. Like most data recovery programs, MiniTool Power Data Recovery Free Edition can help us recover deleted files and recover file from deleted, lost, damaged and RAW but existing partitions. 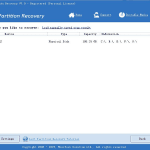 Nevertheless, these are just basic recovery capabilities, and it is the following features that make Power Data Recovery Free Edition outstanding: scan and recover media files only, recover data from CD and DVD, and preview data recovery effect when Windows can not boot. By employing digital media recovery feature, MiniTool were able to pinpoint and recover lost media files like pictures, videos, and audios, thus saving a lot of time and avoiding unnecessary work, for it only scans and displays digital media files. In Digital Media Recovery interface, all media files are classified and saved in different folders. We can make use of “Advanced Filter” to filter files by file name, file size, creating time, etc., which is quite useful when there are lots of scanning results; or use “File Preview” to preview selected files so as to avoid recovering needless data, but our text shows it only supports viewing txt and image files; or pinpoint data via “Find file”. In our test, we deleted a file named our families.png, and finally found it exactly from a huge number of pictures via the feature “Find file”. That’s so great. Some people may think it unbelievable to recover data from CD and DVD, but CD/DVD Recovery module of MiniTool Power Data Recovery Free Edition can really do this. It deep scans CD or DVD to recover deleted, erased, and formatted files. In our test, it even recovered a small part of data from scratched CD. Undelete Recovery module works only with deleted files and allows user to “undelete” them (another popular term is “unerase”). 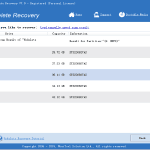 This data recovery module focuses on recovering deleted files and folders. By using Un delete Recovery module, you could recover deleted files emptied from the Windows Recycle Bin and even files deleted by using SHIFT+DELETE key. 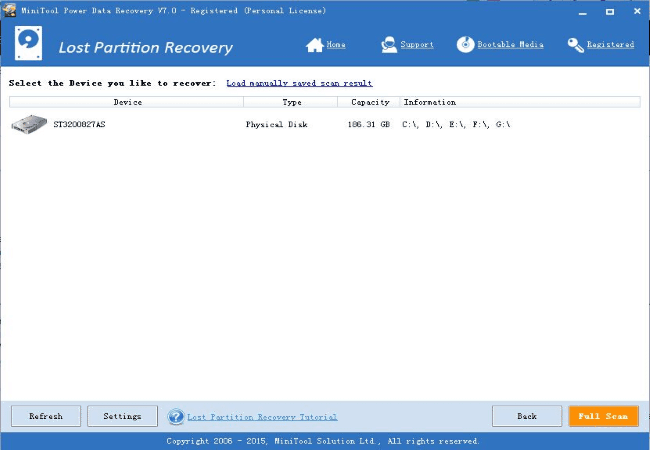 Lost Partition Recovery module provided by MiniTool Power Data Recovery is designed to recover data from lost/deleted partition on both local hard disks and removable devices. In general, if you cannot find out the partition you like to recover data from by using Damaged Partition Recovery module, you can try using Lost Partition Recovery. In this clear interface, you need to select the device you like to recover data from, and then choose a scanning button. After scanning, you will be given detailed operating prompts. Just follow these instructions. For detailed steps, please see Lost Partition Recovery. 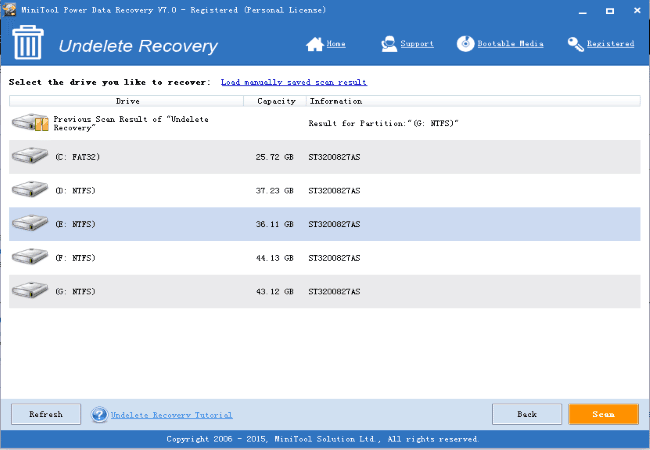 Damaged Partition Recovery module is the most powerful data recovery module of MiniTool Power Data Recovery. It is designed to recover data from logically damaged, formatted and RAW partition. In general, lost files could be recovered by using this module as long as the partition exists. And also, it could give you more chance to recover lost/deleted files when Undelete Recovery is not working. Moreover, it recovers data from not only from hard disk partition but also from memory stick, memory card, flash drive, and so on. Our computer may be unbootable due to virus attack or mistaken operation. At this time how can we recover lost data? Purchase a bootable data recovery program? Without knowing real data recovery effect most of you would be unwilling to buy it. 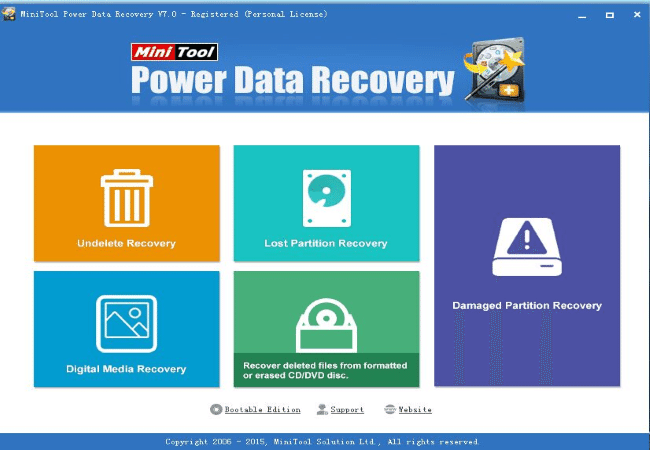 MiniTool Power Data Recovery Free Edition provides a free bootable disc which can enter computer without OS to look for lost files. Nevertheless, this license is just for preview use. If we find needed data and plan to recover them, we must buy Power Data Recovery Personal License Boot Disk or more advanced license. Actually, we really hope Power Data Recovery Free Edition boot disk offers free data recovery service like its Windows edition, even 1GB free data recovery. MiniTool Power Data Recovery 7.0 is a good choice of data recovery. If Windows can not boot, use Power Data Recovery Free Edition Boot Disk to see whether you can find desired files.